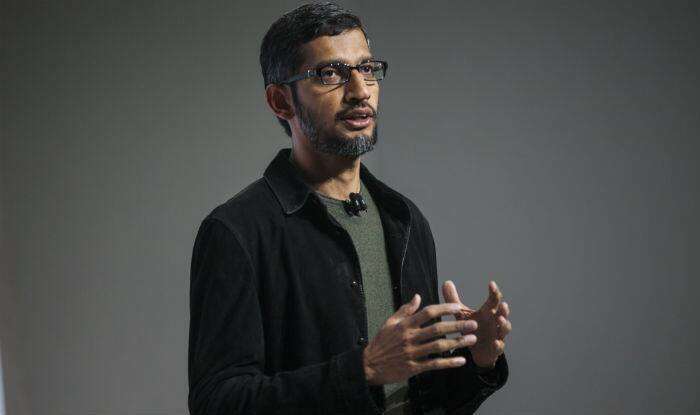 Washington: President Donald Trump has said that Google is totally committed to the US military as he met the internet giant’s Indian-American CEO Sunder Pichai at the White House, days after he accused the tech company of helping China and its army. Trump, who has been at loggerheads with several big companies, earlier this month said, “Google is helping China and their military, but not the US”. On Wednesday, after a meeting with Pichai at the White House, the US President said: “Meeting ended very well”. “Just met with Sundar Pichai, President of Google, who is obviously doing quite well,” he said. Pichai “stated strongly that he is totally committed to the US military and not the Chinese military”, Trump said. “Also discussed political fairness and various things that @Google can do for our country. Meeting ended very well!” said the President. There was no immediate tweet from Pichai. However, a Google spokesperson said that the company is pleased to have productive conversations with the President. “We were pleased to have productive conversations with the President about investing in the future of the American workforce, the growth of emerging technologies and our ongoing commitment to working with the US government,” said the Google spokesperson. Trump’s tweet criticising Google earlier last month came after Acting Defence Secretary Patrick Shanahan and General Joseph Dunford, chairman joint chiefs of staff, said during a Congressional hearing that “Google was partnering with China… But the Internet search engine giant has shown a lack of willingness to work with the US Department of Defence”.